Our Ajita necklace features a gorgeous selection of green crystals and an alloy Buddha bead. No two necklaces are alike, with each bead featuring different patterns and markings. Your one-of-a-kind necklace will provide you with calming energies and healing properties for years to come. 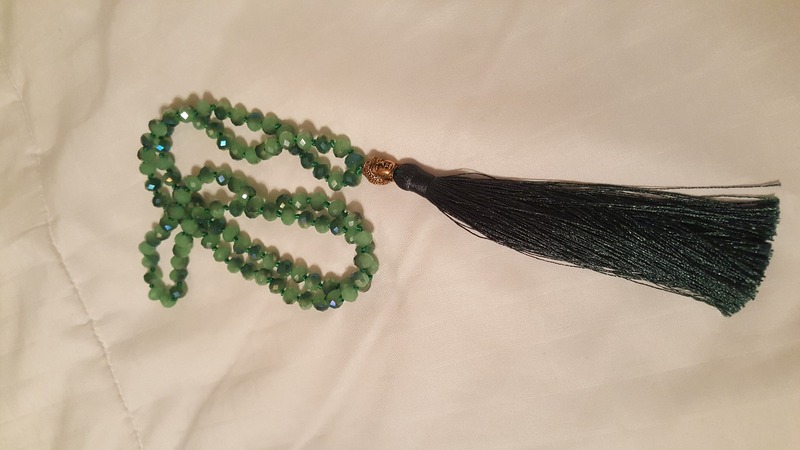 I've never had a bad experience with MalaPrayer :) Shipping is fast, customer service is fantastic. Highly recommend. I'm so happy with my beautiful mala beads! Thank you for the amazing quality and detail!!! I'm very satisfied! Beautiful, well made, makes me look forward to meditating!